Are any of my Gamesalad Files Retrievable? — Welcome to the GameSalad forum! Are any of my Gamesalad Files Retrievable? If you uploaded them to the gamesalad site you can download them from there again. There is a button next to generate app. Just as @LumpApps‌ has suggested. Your work is saved on GS's server. There is a light at the end of the tunnel! Plus a great excuse to buy a new computer! Thank you so much for the quick responses! It is going to be really nice that I can still update my existing apps. Is there any way to salvage the ones on my phone located in the game salad viewer? 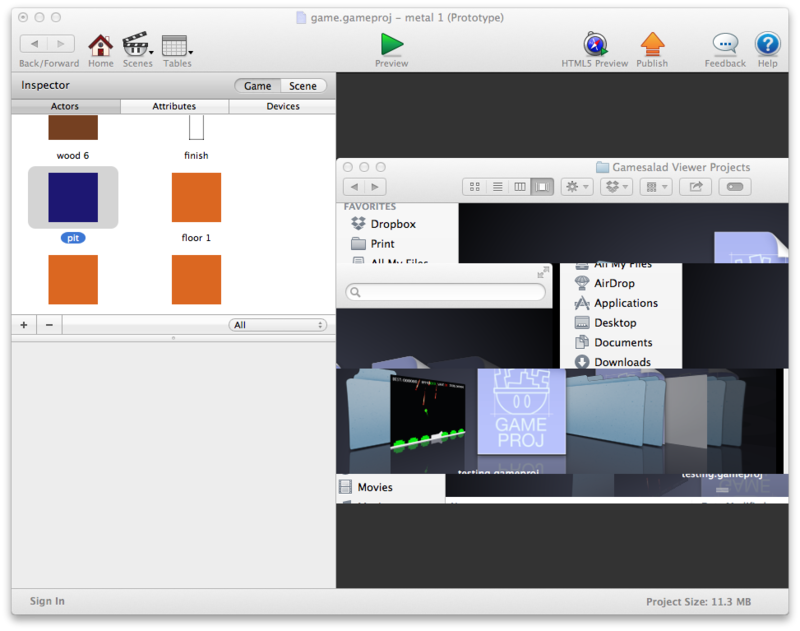 I Figured out a way to access the Gamesalad Projects stored in the viewer app on my iPhone! I downloaded iFunBox which let me view the files on my iPhone and after I copied the files from the viewer app onto my mac there were my projects. I am amazed it accually worked! Well things have taken a turn for the worse The game files I got from the viewer open up in game salad and display all the pictures and actors, but when I click on one of the actors the software glitches out. Preview works as expected and when I went into layer settings those worked too. It seems like everything is there but it just will not open up to the area to add behaviors to an actor. One more curious thing is that if I click on an actor that does not have any rules associated with it (such as a background) it works just like normal. Thank you for looking into this. If you have any more questions about it please ask away. Here is a screen shot of what happens when I try to select an actor from the sidebar. 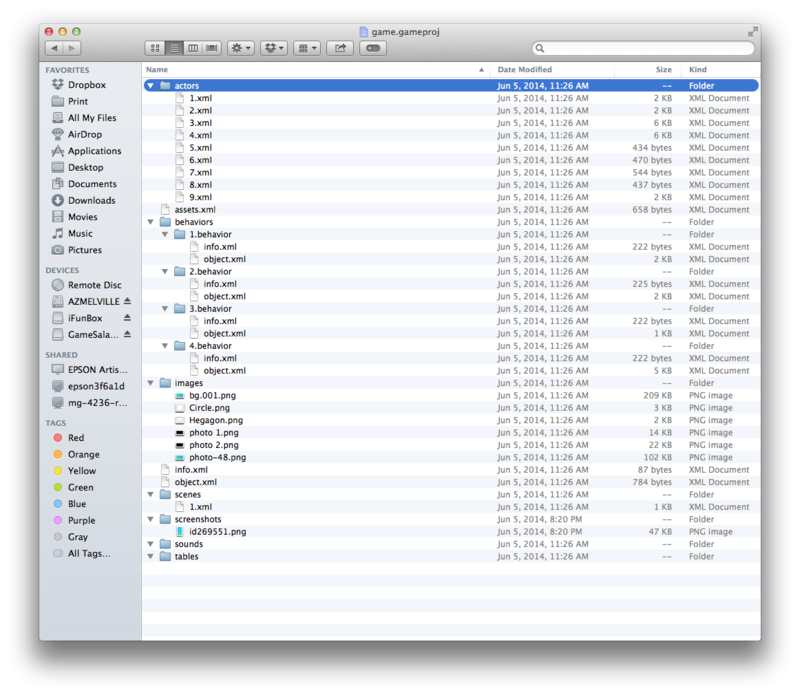 Here is a screen shot of what it looks like when you view the package contents of one of these files. Does anyone have any insights on how I might be able to get these files to work?